It is said that young people in today’s times in society, a group of people known as ‘Millennials’ are struggling to find their purpose in life more than any other period in human history. 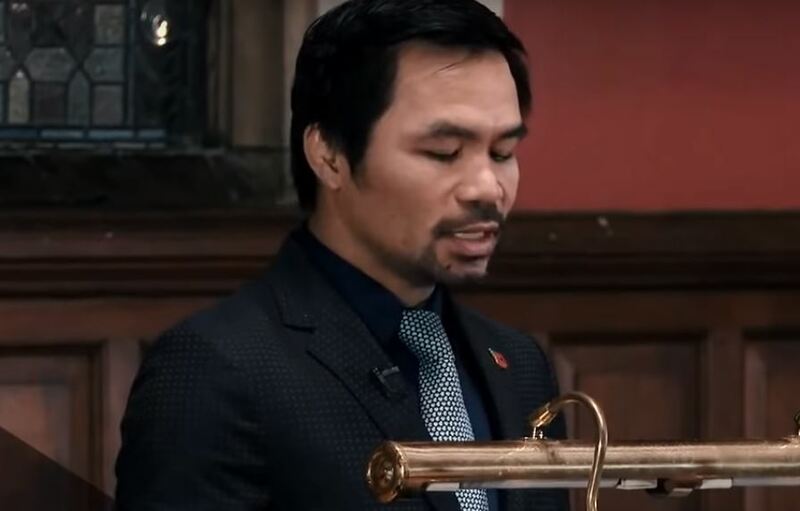 Manny Pacquiao has gone on record on what his is and, if you’re looking for a bit of inspiration today, you’ve come to the right place. Outside of his boxing career the story of Manny Pacquiao is famous at this stage. Coming from poverty that most could not even fathom to rise to the very top of sport and politics, Manny Pacquiao has beaten the odds perhaps more than anyone. Pacquiao returns to this boxing ring in January against Adrien Broner with all details to be officially confirmed very shortly.